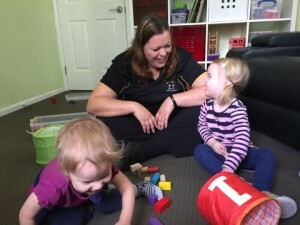 Kids Chatter Speech Pathology is a private practice located in Indooroopilly, the western suburbs of Brisbane for children aged 1 to 18 years. Our team of certified speech pathologists aim to provide you with the best care for your children in the areas of speech clarity, receptive and expressive language, late talkers, stuttering, phonological awareness, reading, spelling, tongue thrust, tongue and lip ties, and more. At Kids Chatter, we focus on ensuring parents are involved in every step of the process, and we will te ach you how you can help your child improve in the areas they need help with. 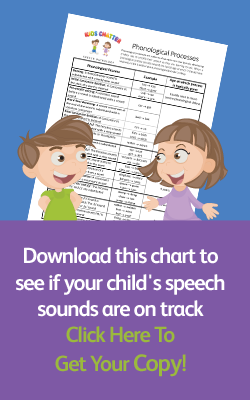 We give your child their very own Kids Chatter homework folder to take home so that in addition to giving your child one-on-one guidance in their therapy sessions, we also supply you with all the handouts, activities and written down instructions to take home so that you can help them practise their new skills to speed up their progress. We strive to offer you a family-friendly service and welcome siblings to come along to sessions. More often than not, we usually have siblings participate in some therapy activities too, so we show you how practise at home can be done when you have multiple kids. We also have a siblings toy box in our rooms to keep them occupied when they’re not participating in therapy. As a twin mum, Monique Speakman (director) has developed a unique way of providing therapy for twins/higher order multiples and will usually treat them together where possible. Kids Chatter Speech Pathology: Helping kids thrive, in learning, play, and life! All our services are claimable via Private Health Funds as well as the EPC Plans through Medicare for those who are eligible.